Lee DiPietro was born in Beverly, MA on April 11, 1958. She is the middle daughter of 5 girls and grew up in Long Island NY. As a child she developed a love for sports playing field hockey basketball and lacrosse in school and during the summer played tennis and swam for her local club teams. Her love for team sports continued in college where she played lacrosse for Boston University. After graduating from BU in 1980, she married her husband Lee (yes same first name) DiPietro and moved back to Long Island in 1981. Their first son, Tim was born in 1983 and Lee juggled a part time career of interior decorating and motherhood. 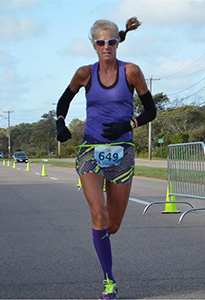 It was in April of 1985 that Lee was introduced to the world of running when her sister encouraged her to run the last 10 miles of The Boston Marathon with her. The cheers of the spectators and the thrill of running on that famous course reignited her thirst for competition. The following November Lee ran her first race ever, running in The NYC Marathon. Without any formal training, Lee struggled to finish in four and a half hours , then vowed to run again. Discovering the world of running, she began searching for local races in all distances, ranging from 5k’s to marathons. Lee quickly climbed the ladder to success and soon became a top age group winner. Her success as a runner drove her to seek out more competitive races and eventually turned her focus towards triathlons. Her second son, Cryder, was born in 1987. Lee prided herself on first being a good mom and wife and second being an outstanding triathlete. 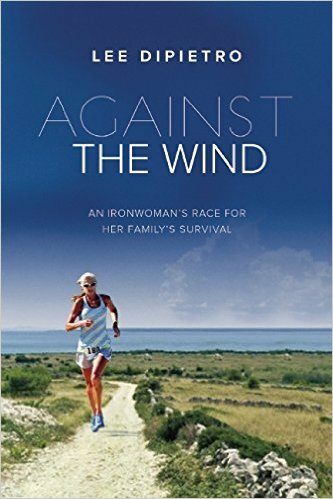 She was a nationally ranked age group triathlete, competing in several World Championships before eventually committing to race in the 1994 Ironman World Championships in Hawaii. In that race, in her first ironman competition, she won her age group and finished 17th overall among the women. Following that performance in October of 1994, she was awarded The Age Group Amateur Triathlete of the year and decided to turn pro, racing as a professional Triathlete. For the next 7 years, Lee travelled the world racing with her husband along side, also a triathlete and her children accompanying her to as many races as possible. Her crowning moment came when she finished 6th overall female in The Hawaii Ironman in 1997. In 2002, Lee retired from Triathlons, a tough decision to leave a world she loved, but she realized the sacrifices made by her and her family for this sport was enough. She turned back to a less demanding training schedule, back to the world of running, her first passion. Now, as masters’ runner, she again rose in the ranks as a masters runner, becoming a top national masters runner, setting course records and qualifying twice for The Marathon Olympic Trials in 2000 and 2004. After over 30 years of competitive racing, Lee has run more than 40 marathons, and 6 Ironman Triathlons and countless triathlons and road races. 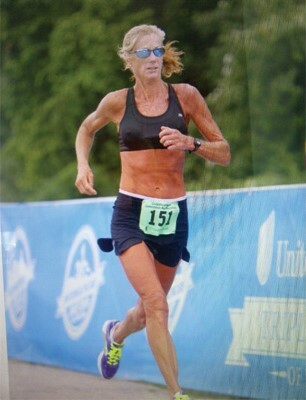 At the age of 50, she won her first major marathon winning the overall female title at The Marathon of The Palm Beaches. She still competes at a high level and is recognized as a top local runner and a local legend on the roads. 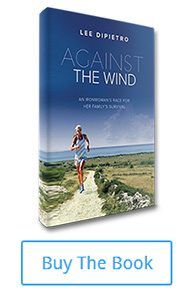 In September 2015, Lee successfully published her first book, Against The Wind. 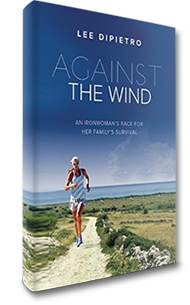 In this memoir, she tells her story of her family’s incredible life threatening ordeals in 2010 and how her career as a runner and triathlete taught her and her family to face obstacles they thought beyond their means. Lee and her husband now split their time between Newport, RI and Delray Beach, FL. Lee DiPietro was born the middle daughter of five girls in Beverly, Massachusetts on April 11, 1958 to Howard and Cornelia (Jennings) Cushing. 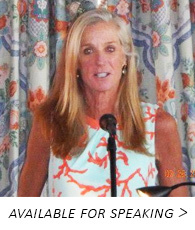 She moved as a child with her family to Long Island where she developed a love for competitive sports playing field hockey, basketball, tennis, swimming, and lacrosse, which she later played on a collegiant level. In 1980, DiPietro received a BA in English from Boston University and married her high school sweetheart, Lee DiPietro, moving back to Long Island in 1981 to start a family. DiPietro started to run local races, ranging from 5k’s to marathons and quickly starting to rank at the top of her age group. Her success as a runner drove her to seek more competitive races, eventually turning her focus towards triathlons. 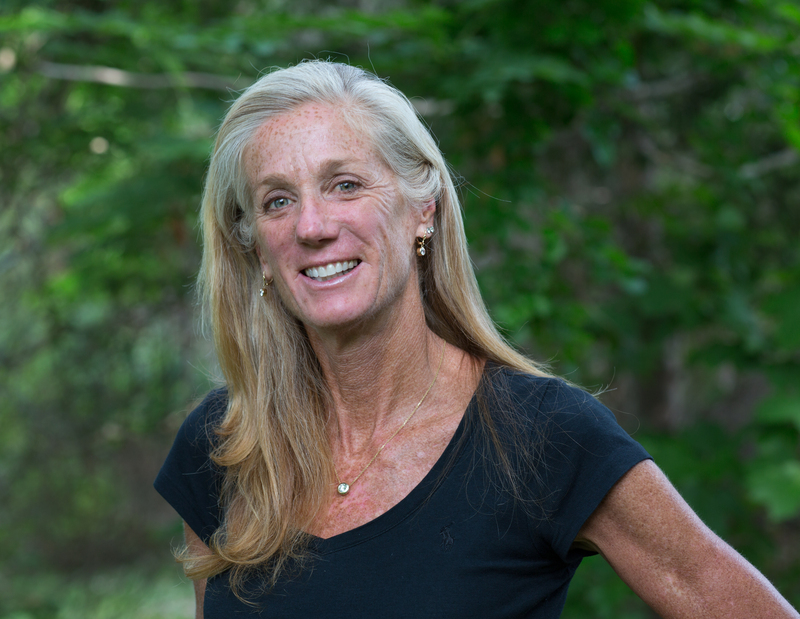 She was a nationally ranked age group triathlete, competing in several World Championships before committing to race in the 1994 Ironman World Championships in Hawaii. In that race, her first ironman competition, she won her age group and finished 19th overall among the women. Following that performance in October of 1994, she was awarded The Age Group Amateur Triathlete of the year and decided to turn pro, racing as a professional Triathlete. For the next 7 years, DiPietro travelled the world racing in as many possible. To her, family meant everything and without the support of her family, the racing was an empty success story. The epitome of her career came when she finished 6th overall female in The Hawaii Ironman in 1997. In 2002, DiPietro retired from Triathlons, a tough decision to leave a world she loved, but she realized the sacrifices made by her and her family for this sport was enough. She turned back to a less demanding training schedule, back to the world of running, her first passion. Now, as master’s runner, DiPietro discovered the opportunity to compete against women, who like herself, were juggling families and other life commitments. She again rose in the ranks as a master’s runner, becoming a top national masters runner, setting course records and qualifying twice for The Marathon Olympic Trials. DiPietro lives with her husband Lee, whom she shares a name. They split their time between the homes they’ve renovated together in Rhode Island, Maryland and Florida where DiPietro maintains a competitive racing schedule between visiting her two sons, Tim and Cryder who reside in New York City. In her spare time she loves to garden, play golf, tennis and decorate houses.